A lot of people bet on various sports with the hope of making money. It’s not hard to understand why. Watching and reading about sports all day, placing wagers and collecting the cash seems like a dream scenario. It’s the good life. Lets discuss how to make money gambling. The harsh reality shows that winning consistently from betting is something very few people achieve. As the saying goes “a hard way to make easy money”. The reason is simple – the bookies have a huge advantage. They have all the data at their disposal and a ton of tools to analyze it. On top of that, they also hire a bunch of traders whose sole purpose is to make sure the house is always ahead. As a result, it’s close to impossible to be a long-term winner if you try to predict how the games will end. Unless you are a maths genius or you have some kind of an internal source of information that the bookies don’t, you will be losing money. The most obvious solution would be to avoid gambling or at least stick to having fun with it. In fact, that’s not a bad choice, but I have one that’s much better – matched betting. It’s more or less the only way for the average Joe to beat the bookies. It’s not based on trying to defeat them in their own game and picking winners on a regular basis. It actually doesn’t depend on the outcomes of the games most of the time. It’s all about maths. For those of you that don’t have an idea what matched betting is, let me elaborate on that. The bookies are in a never-ending battle for customers. One of their weapons are free bets and promotions. They give those to new players that have just joined and sometimes, to existing customers under certain circumstances. This creates opportunities to make some money without any risks. You will simply use the free bets/bonuses of the bookies to back a certain team or player to win a game. Then, you will lay the same team or player on a betting exchange such as Betfair. Since lay basically means to bet against that outcome, you will have covered all the possible scenarios. With the proper calculations and thanks to the free money from the sportsbook, you will be ahead whatever happens. This is called bonus arbitrage and is the base of matched betting. In this article, I will go through the most popular matched betting opportunities you will find online. At the end of it, you will certainly understand why this is the best way to make money gambling. 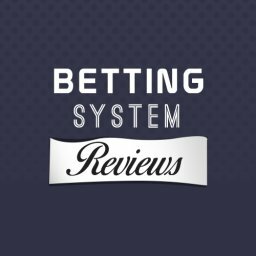 Using the bookie welcome promos is by far the most popular type of matched betting for a couple of reasons. First of all, pretty much any sportsbook out there has a free wager waiting for you. Also, the whole process is pretty straightforward. The first thing you would need to do is join the bookmaker and complete your first deposit. Usually, you will have to place a qualifying bet to get the free wager first. This is the first important step of the system. Since you don’t want to risk the stake of the qualifying bet, you cover it by using an exchange to lay the outcome you backed at the bookie. 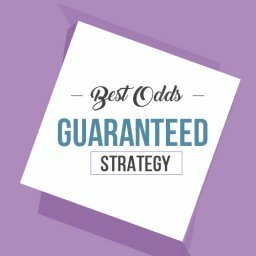 As a result, you will get about 90-95% of the money staked back (depending on the odds), but gain a free bet of the same value. The next step would be to use the free wagers. Once again, you will back a certain outcome using them. At the same time, you have to lay them in Betfair or another exchange. After the game is complete, you will simply collect your profit without caring about the result. Step 4: you place the free bet on another match with the same odds or 4.00 for a home win. You lay the same outcome at a betting exchange at odds of 4.10 once again. Since the free bet stake is not returned, you have to lay £7.41 with a liability of £22.97. This will bring you £7.04 whatever happens. As you can see, you won £7.04 (profit from the free bet) – £0.74 (loss from the qualifying bet) or £6.30 with an investment of £10. 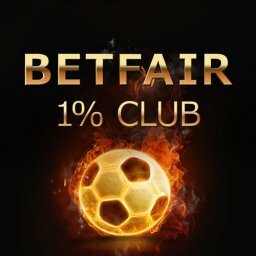 The actual amount seems small, but you can get larger free bets and you can get tons of offers by different bookies. Once you take full advantage of each, you will collect a healthy profit. Read more about how Matched Betting works here. Making money in an online casino or a bingo room is even harder than from sports betting. In fact, it’s impossible. If you go the standard route, that is. Matched betting works here too for pretty much the same reasons it does in bookies. The casino and bingo rooms will offer you some juicy bonuses to join them. They are designed to lure players and often contain no value whatsoever. However, some of them can actually bring you some good money. 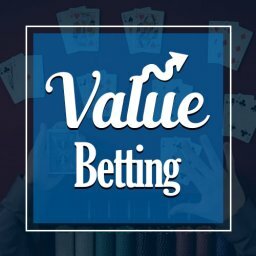 It’s not entirely risk-free, as in sports betting but you will get a huge positive expected value and can protect it with the proper manager. However, I will start by explaining how the maths work. Each time you join a casino/bingo room, you can get a new player bonus. This offer always comes with some strings attached, most notably, the so-called “wagering requirements”. You will have to place a certain amount of bets before unlocking your bonus money for a withdrawal. Most promotions are designed for you to lose your bonus and sometimes even more money before you actually clear the wagering requirements. However, that’s not always the case and the games you pick make a large difference. The trick is to find a game with Return to Player or RTP that is high enough for the bonus to be profitable. This metric show what percentage of the bets are returned as prizes. Let’s say you join a casino that matches your first deposit of £100 with a bonus of the same value. 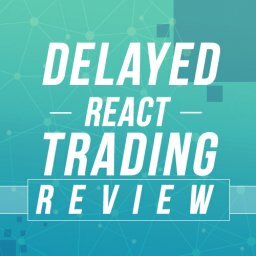 You have to the bonus 25 times prior to withdrawal. A simple calculation shows this equals placing bets worth £100*25=£2,500. You find a slot game with an RTP of 97% that can be used to clear the wagering requirements. 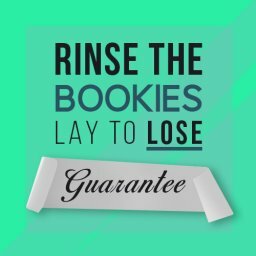 So, after betting the whole amount, you will have a return of £2,500*0.03=£75. This means you are expected to lose £75 of your bonus, but you can withdraw the other £25. With an investment of £100, that’s a healthy return. The same logic applies to bingo bonuses too. The crucial factor in this type of matched betting is to have a solid bankroll. Unlike sports betting, you are working with positive expected value here and not fixed profits that don’t depend on the outcome. As a result, you need to bet just a fraction of your bankroll so you don’t get busted before completing the wagering requirements. Also, there’s a certain risk that you won’t get the exact expected result because of variance. You might lose money sometimes, but you could also win way more than anticipated in other situations. The key in the strategy is that in the long run, it all evens out and you will get your profits. Read more about Matched Betting Casino bonuses here. 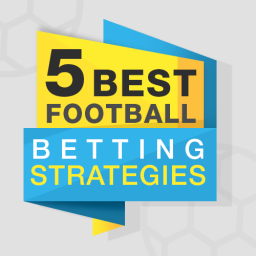 Some bookmakers like SkyBet and Coral, for example, are eager to not only attract players but make sure they are consistently using their services. This is why they have weekly free bet clubs. It’s a promotion that allows you to earn a free bet each week, if you meet certain criteria. This creates an opportunity to use matched betting to make risk-free money on a weekly basis. You approach would be similar to welcome bonuses, but usually the value is a bit lower. Use the free bet to once again back an outcome and lay it on a betting exchange. You should receive about £3 whatever happens. The estimated profit is about £2.5-3.00 each week, no risk involved. It sounds like peanuts, but you could get a couple of more similar offers and make money literary out of nothing every single week. Furthermore, sometimes you can combine the weekly free bets with other promotions. This could boost your profits even further. Another type of promotion that you will often find in most bookmakers are the refund offers. The sportsbooks often launch various of refund opportunities. They all work in a similar fashion. You place a bet and if it loses, you can get it back under certain terms. A good example of such a promotion would be the bore draw 0:0 refund you can find at Bet365 and other popular operators. As the name suggests, you can place a wager on a certain football match. If the end score is 0:0, you will get your money back. This is a solid opportunity for matched betting, as you can once again secure profit without taking any risks. Let me explain how matched betting works with refund offers by using the already mentioned 0:0 promo. 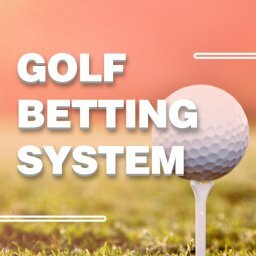 The first thing you need to do is find a correct score market different from 0:0 where the odds of the bookmaker and those available at the betting exchange are close enough. You back the result in the bookie and lay on the exchange. Then, you proceed to also lay 0:0 on the betting exchange. If you use the proper wager sizes, you will be collecting winnings every time. There are many different refund offers available, but they all work in a similar way. 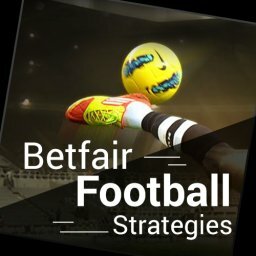 You have to back in the bookie and lay on Betfair to create a win-win situation for yourself. The key is to find decent odds and place the correct amounts. You can use various online calculators to do so. Horse racing is one of the sports that attract a lot of attention and money. Naturally, this leads to matched betting opportunities. One of the best systems is the each way arbitrage. This is a sure fire way to make money gambling. For a start, I will explain what each way is for those of you who don’t know this market. It combines two separate stakes. The first one backs a horse to win the race you picked. The second one backs the same horse to place or finish in the first 2-5 positions. The exact number depends on the contestants in this particular event. The “win” part of you wager is only successful if the horse is first and loses in all other cases. The “place” part wins if the horse is the first couple of positions. For example, for smaller races, this would mean first or second. So, this how each way works. Let’s see how to make some money out of this market. 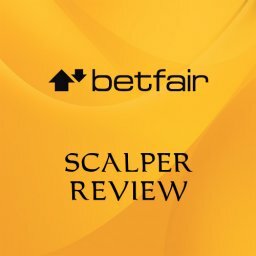 The key to each way arbitrages lies in the fact that Betfair has two separate markets for the two parts of the market. 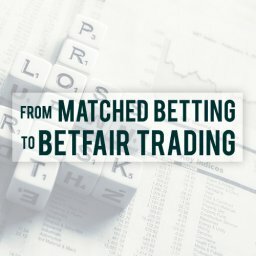 Unlike the bookies, on the betting exchange you will have to place one bet on the win market and one on the place market. Often, the price on the second is way lower on Betfair. As a result, you can cover all options and claim profits without taking any risks whatsoever. Still, there is some work to do before that. For a start, you have to find suitable races. Most of the time, the best option is to pick events with 1 or 2 heavy favorites. You will note that the bookies have much higher odds than Betfair on the place market for such events. 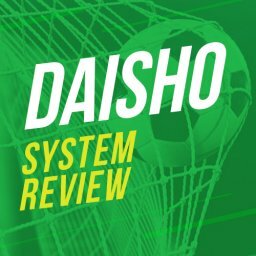 The fastest way to compare the prices and find the best one would be to use an odds comparison website such as oddscheker.com. Your main goal would be to check the underdogs and find similar win prices for them in the bookie and on Betfair. If that’s the case and the “place” odds are much lower, you’ve got a winner. Simply back the horse using the each way market of the bookie and lay both the win and place on Betfair. You don’t even need to watch the races. Remember, this is the price you have to compare to the lay option on Betfair. It has to be higher for the system to work. Read more about Each Way Arbing here. You’ve probably seen the many accumulator offers by the bookies. They will give you your stake back if only one game loses. The main point of the operators is to make a ton of money, as the accumulators are probably the worst from the players’ perspective. The actual margin of the house is insane. However, you don’t really care about that if you go the matched betting route. For this purpose, you have to select the proper accumulator promotions. The selection of the multiple should not start at the same time and there must be at least 2 and a half hours difference in the kick off time for football. For different sports, make that 40-50 minutes between the end of one of the selection and the start of the next one. When you find an accumulator offer that covers that, place your wager at the bookmaker. It’s now time to start laying the selections one by one on Betfair or another betting exchange. At this point, you are laying against your initial back stake. Once a selection loses, you should continue laying the next games one by one. This time, you are playing against the refund. 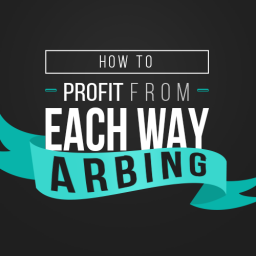 When you hit the second losing leg of the accumulator, the arbitrage is complete and the profit will be there. The overall expected profit with this strategy is about 20% of your investment. Click here to read more about locking in profits from Accumulators. As you can see, there is actually a certain way to beat the online gambling operators. You can make money on a regular basis, by taking small or no risks whatsoever. The key is to rely on good preparation and maths, instead of luck. This is the best product for making money gambling. However, finding all the possible opportunities can be time-consuming and you will certainly miss many of them. This is why I created the Profit Maximiser. The software does all the hard work for you. It goes through all the bookies, bingo and casino rooms out there. It checks all the promotions, completes the necessary calculations, and identifies opportunities to make money. Once it’s done, it sends them to you with full instructions how to take full advantage. This cycle is repeated all over again. On top of that, the Profit Maximiser comes with a detailed training and community support. They will help you understand how the whole thing works in no time at all. And time does matter. 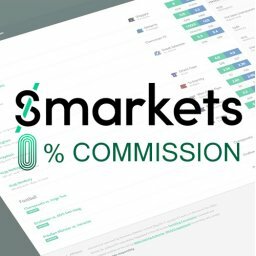 As soon as you join, you will start receiving plenty of offers to make money without any risk involved. Everyone who bets would love to make money from it. Yet, you probably already realise that this isn’t easy to do. 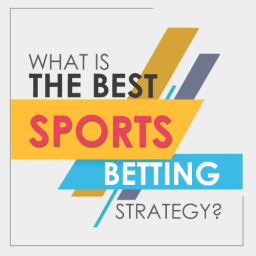 Understand what is the best sports betting strategy!